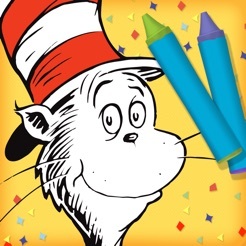 Perfect for no-mess creativity on the go, this app will keep your kids entertained with easy-to-use coloring tools, magical special effects, and science-themed coloring packs featuring Dr. Seuss’s beloved Cat in the Hat, Sally, Nick, Fish, and a wonderful world of animals and nature. 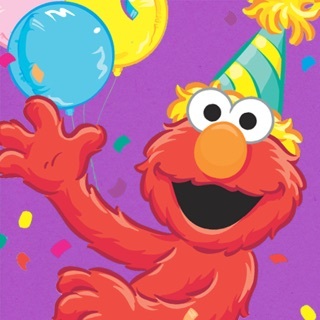 -9 super-dee-dooper tools for little hands to get creative with, including a Confetti Cannon, Magic Hat animated effects, crayons, chalk, paint brushes, tap-to-fill paint bucket, stickers, and patterns! 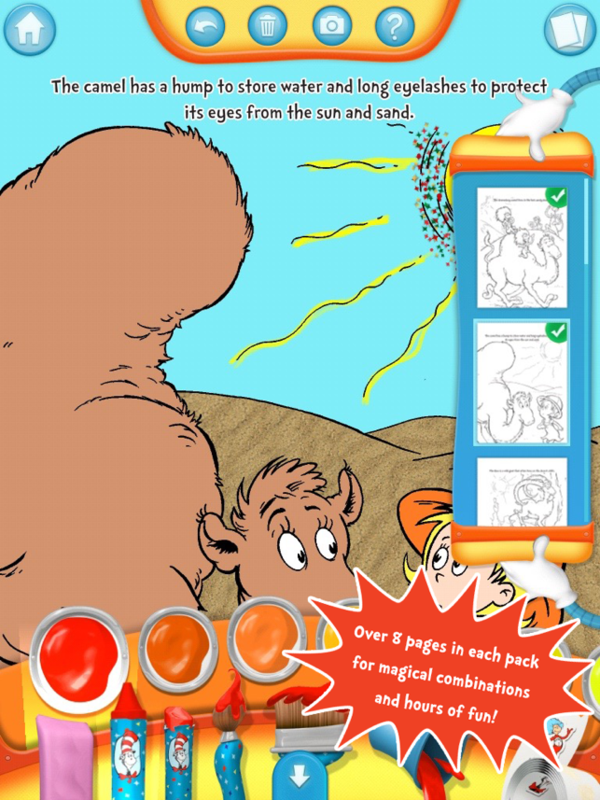 -2 FREE coloring packs included, for a total of 16 pages to color! 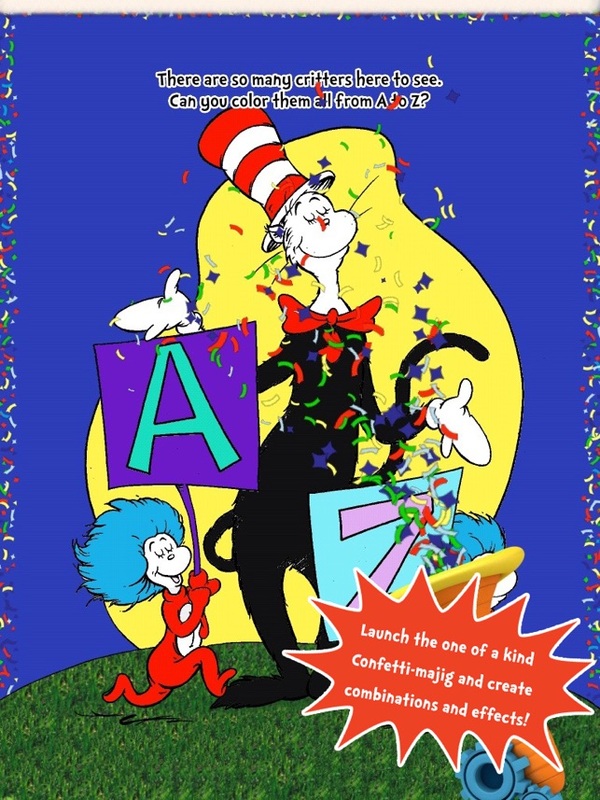 -32 colors, 16 stickers, 11 Seuss patterns, 6 Magic Hat effects, and 3 types of confetti included FREE! -A sharing tool for parents, to send their child’s masterpieces to friends and family! -More! The Design Shop within the app offers additional coloring packs and bonus art supplies for sale, to add to the Color & Create fun! 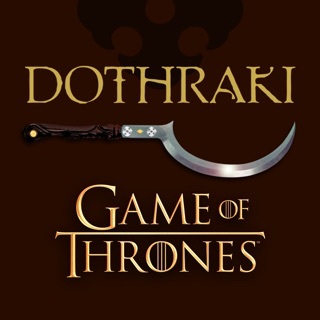 -Optimized for Retina display and iOS 9. 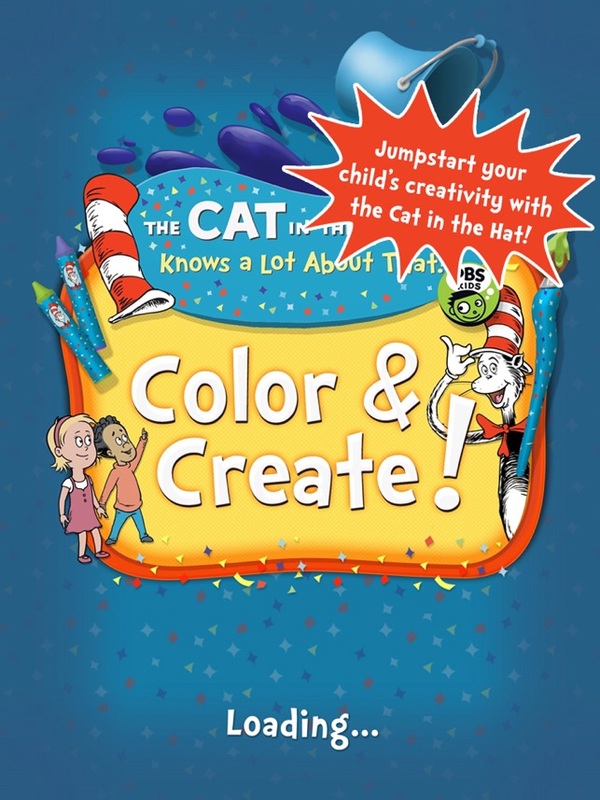 Download The Cat in the Hat Color & Create app for iPad today, and jumpstart your child’s imagination with hours of creativity with the Cat in the Hat. 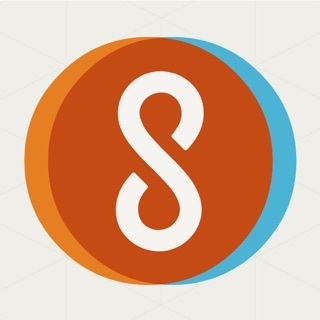 Optimized for iOS 9 and stability fix for Design Shop. Very cool idea here. Unfortunately there is no chalk as others have said. Can’t even purchase anything as it looks abandoned since 2016. Otherwise needs more everything. 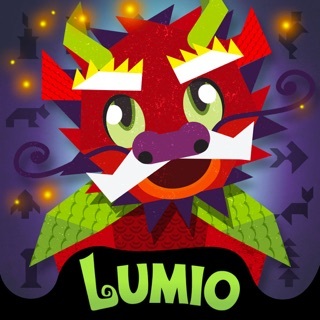 My three-year-olds love this app. They are big fans of coloring apps, however this one is the best because of all the interesting effects which can be applied to the picture. For example, butterflies and bumblebees may be added to the picture, and they continue to fly around the picture. The confetti effect is awesome too! The developers may want to consider adding background music while the kids are drawing. My granddaughter has always loved coloring. She uses markers, paints and crayons. When she uses this app, she is so excited about all of the new ways to color. 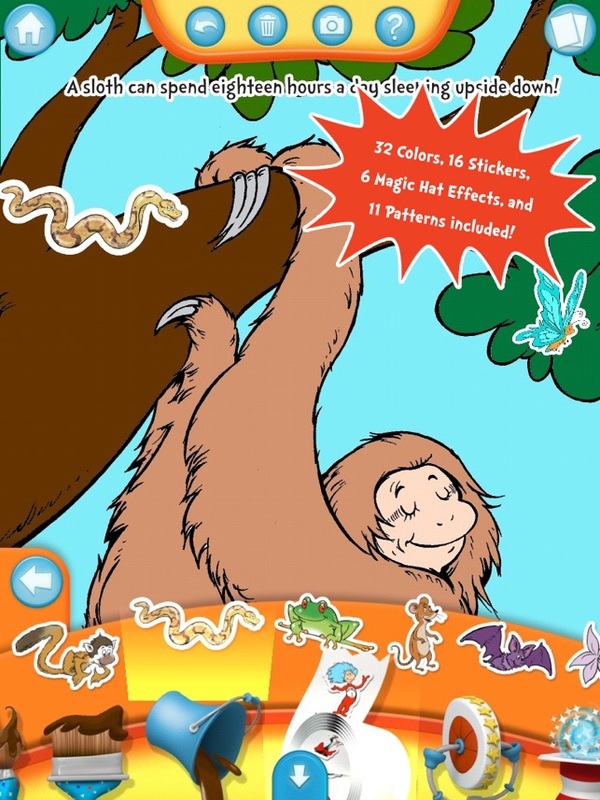 We have other coloring apps, but this one is her favorite, because it does so much more. 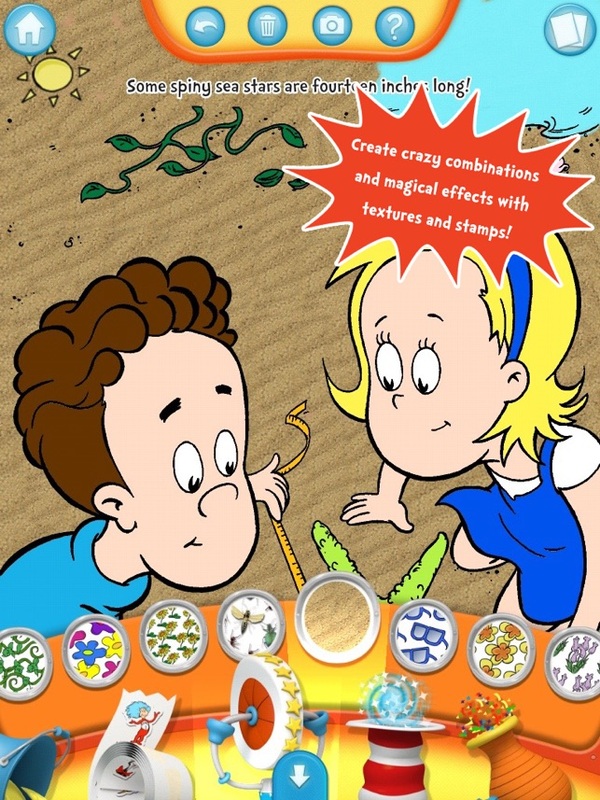 With this app, she is more creative and uses her imagination to a much greater extent.